Each year the French Open tournament at the Stade Roland-Garros is a chance for both casual fans and tennis fanatics to attend titanic clashes involving the biggest names in tennis. This major Parisian sporting event also provides a golden opportunity to discover the many delights of the capital during a holiday break in a hotel. The French Open at Roland-Garros draws thousands of visitors to Paris each year. 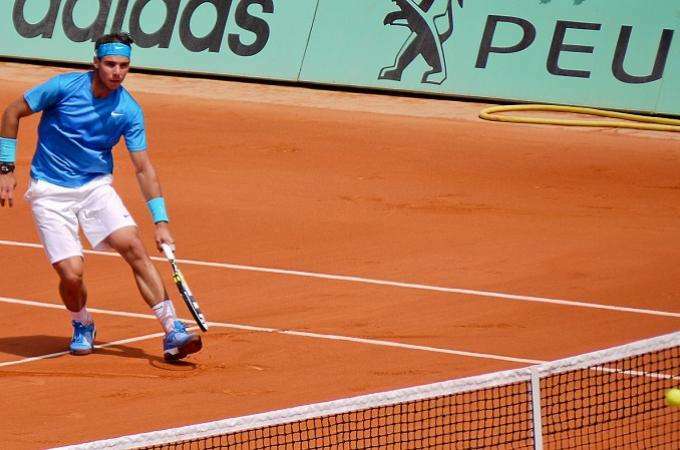 From May 19th to June 7th you are invited to admire the sporting prowess of the world’s greatest players and find out who will succeed Rafael Nadal, last year’s winner of the Men’s Singles title. If, indeed, anyone is capable of beating the King of Clay! This international sporting event is held in the heart of Paris in the 16th arrondissement, not far from the Porte d'Auteuil, so it is also the ideal time to discover Parisian chic and the capital’s world of high-end fashion and ready-to-wear. During your stay in the capital, you can enjoy world class tennis, indulge in a little retail therapy and discover the most famous monuments of Paris, all in one wonderful trip. Whether you are a tennis fan, a tourist, or both, the Hotel Vice Versa welcomes all visitors to the neighbouring district of the 15th arrondissement. Located close to the tennis courts, our hotel provides the ideal base place from which to discover the capital. The Eiffel Tower and the Montparnasse districts are packed with shops and many other exceptional attractions, all conveniently and easily accessible. Our comfortable and well-appointed guestrooms are designed to ensure the most pleasant of stays, and the Hotel Vice Versa provides all guests with quality service and the most modern facilities amidst contemporary decor and fabulous design.